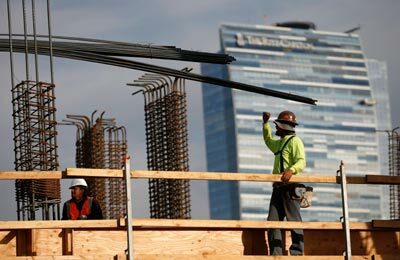 US economic outlook has received a major boost from the recent data released by the Commerce Department which stated that construction spending has scaled a more than eight-year high in January. In the report, the department said the spending on construction surged 1.5 per cent to $1.14 trillion, the highest level since October 2007, as both private and public outlays rose. That followed an upwardly revised 0.6 per cent increase in December, previously reported as a 0.1 per cent gain. The strong construction spending report prompted economists at Barclays to raise their first-quarter gross domestic product growth estimate by three-tenths of a percentage point to a 2.4 per cent annual rate. The economy grew at a one per cent rate in the fourth quarter.